VitaminWater, Coke’s new “wonder” drink is the basis for a lawsuit against the company after “deceptive and unsubstantiated claims” were made about the health benefits of the drink. This deceit acts as yet another reminder to the Australia public to avoid high-sugar drinks at all costs. 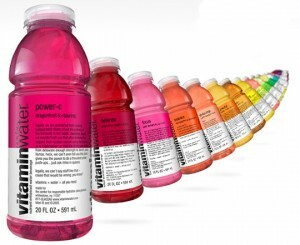 Aimed at children, teenagers and active adults, VitaminWater not only provides you with most of your daily sugar needs – it also supplies a meal’s worth of calories in every bottle. With the world-wide decline in soft drink consumption, Coca-Cola has decided to change tactics with their new advertisements targeting obesity. Sadly it’s left a sour taste in the mouths of public health advocates which have now launched an offensive against Coca-Cola’s latest advertising campaign. 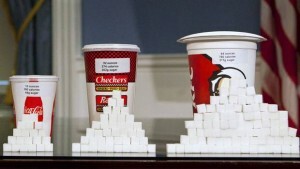 This leaves us thinking, should we be taking public health advise from a multi billion dollar soft drink company? Step Away From The Soft Drink – It's Killing You! Researchers this week have reported significant new study findings about soft drink consumption at the Epidemiology and Prevention/Nutrition, Physical Activity and Metabolism 2013 Scientific Sessions. This large-scale epidemiologic study has shown that tens of thousands of deaths worldwide each year are attributable to large amounts of soft-drink consumption. Soft drink has previously been shown to contribute to obesity and numerous other diseases, however this research provides us with more real and alarming statistics we can't ignore to really make us question what we are putting into our bodies and how it is affecting our health. NEW York City has become the first city to ban super-sized, sugary drinks at fast foods restaurants, movie theatres and other eateries. The regulation passed last week puts a 473mL size limit on cups and bottles of non-diet soft drinks, sweetened teas and other calorie-packed beverages. The ban doesn't cover supermarkets or most convenience stores. 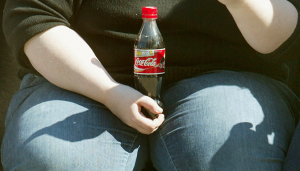 City health officials say the ban is necessary to combat the worldwide obesity epidemic. Mayor of NY, Mike Bloomberg and other advocates for the soft drink plan – see it as another pioneering step for public health. 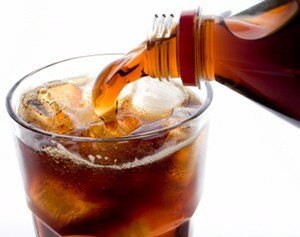 A large Singapore study has revealed that those who drink two or more soft drinks per week have an 87% higher risk of developing pancreatic cancer. Excess sugar intake has been linked to many different diseases, including the prevalent diabetes, insulin-resistance, immune-system suppression and vitamin and mineral deficiencies. This research offers an amazing and alarming insight into the true dangers of consuming just a few cans of soft drink per week – something that millions of Australians are guilty of. 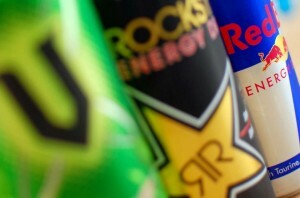 Red Bull Gives You … A Heart Attack? Red Bull didn’t give him wings — it gave him a heart attack! Brooklyn father Cory Terry, 33, died during a basketball game after downing the caffeine-laden beverage — and his relatives are blaming the world’s largest energy drink maker. Their $85 million lawsuit, filed this week, is believed to be the first wrongful death suit against Red Bull. Artificial sweeteners are by far, the most dangerous substance on the market that is added to foods. 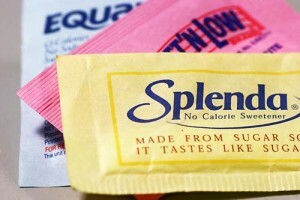 Aspartame is the technical name for the brand names, NutraSweet, Equal, Spoonful, and Equal-Measure. It was discovered by accident in 1965, when James Schlatter,a chemist of G.D. Searle Company was testing for an anti-ulcer drug. A leading Australian poisons expert has warned of the disturbing trend of children consuming drug medications and energy drinks for improved sporting performance. This dangerous drug abuse is commonplace amongst children as young as 10; children too young and undeveloped to cope with the potentially lethal side-effects of such medication and high doses of caffeine. Is your day consumed by thoughts of chocolate, lollies and other sugary treats? Need that sugar hit after lunch to get through the afternoon? You are a sugarholic but you are not alone. Need to get the sugar out of your diet? Here’s how. Follow these 5 simple steps to quit sugar for good!